A tiny snowflake for the challenge. It was a cold day but the sun was shinning and I needed another snowflake for the window. This is made from Olympus 40. Awww...this is very cute! I love it. 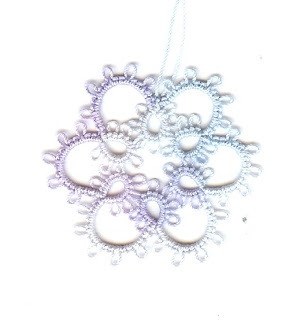 I love sweet simple tatting. Sometimes I think it is the best!